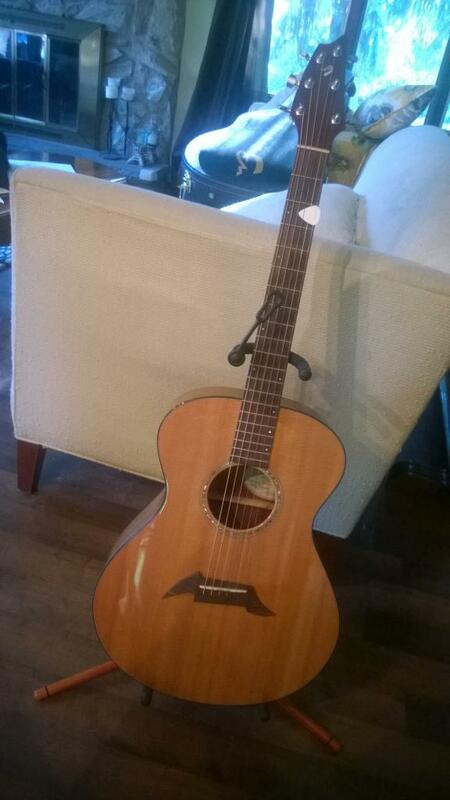 So my acoustic guitar stable is now all Breedlove. I have been very happy with my Breedlove Oregon Series C20-SMYR limited edition. 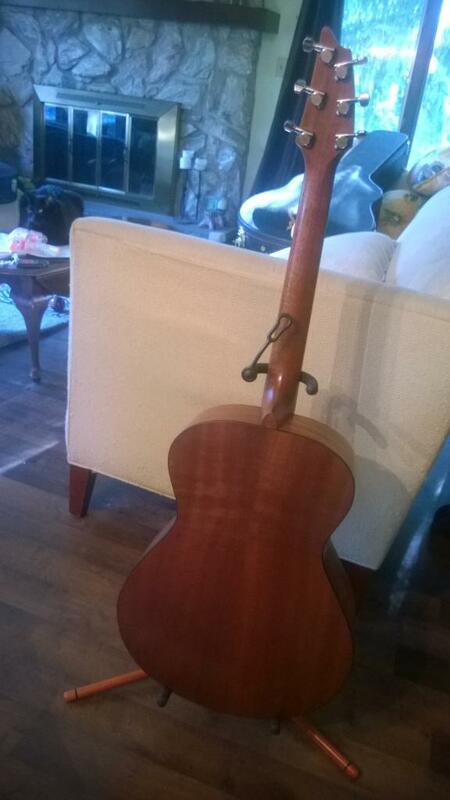 So I was intrigued when I saw a guy on another forum interested in trading a C20 SM American series for an all-mahogany guitar. I still had my Larrivee OM-03MT sitting around, and was not particularly interested in parting with it. But this deal was very attractive. So I have now traded both of my Larrivees in on Breedloves. The American Series is voiced a lot differently than the Oregon Series. It is not as complex, but that makes it cut better. Amazing guitar. Quite a looker and love the mother of pearl around the sound hole. The top is gorgeous too.